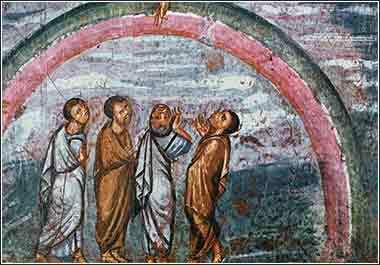 The earliest known image of the rainbow of is in the Vienna Genesis, an illustrated Genesis from Syria in the 6th Century A.D. Noah and his three sons stand beneath the rainbow, contorted in wonder, gaping upward at the presence of God. “Peace and rest belong not to the unregenerate, they are the peculiar possession of the Lord's people, and them only. The God of Peace gives perfect peace to those whose hearts are stayed upon Him. The language is a bit old, but to summarize Spurgeon's beautiful prose in a nutshell: God gave us a perfect place to live, and we messed it up. But in all the wrath He visited on the evil of the earth, He has always protected His people. 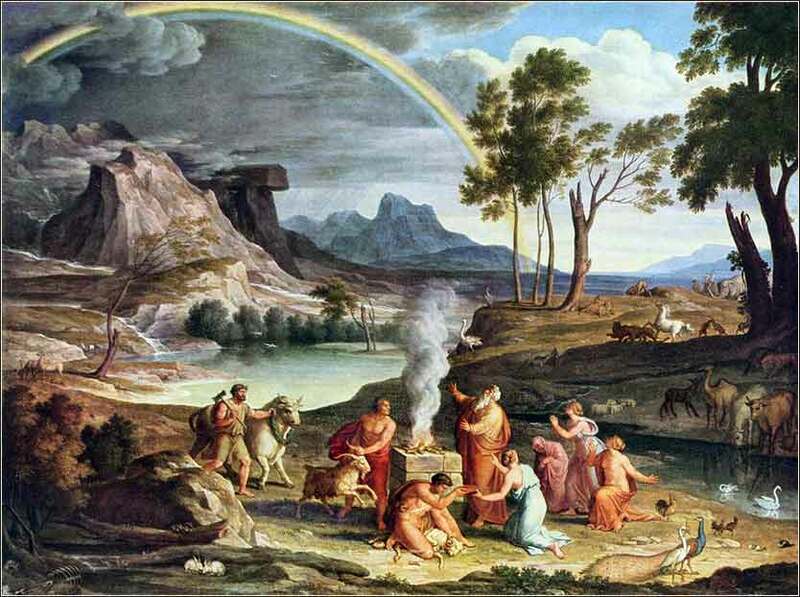 Like Noah's family on the ark or the Hebrews in Egypt, God's grace shelters those who have taken His son into their hearts, with a spiritual shelter that no force on earth can invade or harm. I hope everyone will read through this until they can get the full beauty and meaning of his short sermon.